Integrated hybrid organizations, for instance social enterprises that pursue both social and economic goals through a single activity, are seen by many as promising vehicles to create social value while remaining economically sustainable. At the same time, they are said to run the risk of mission drift—losing sight of their social mission while navigating market and political pressures. While organizational governance mechanisms that ensure the overall direction, control and accountability of the organization are considered key to avoiding mission drift, scholars have argued that traditional governance mechanisms may not work in the context of social enterprises. 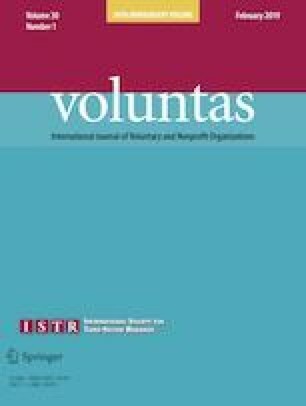 Drawing on the legacy of old institutional theory, this article proposes a proactive approach to governance in social enterprises. We complement and go beyond control and compliance approaches and introduce a governance approach focused on purpose, commitment and coordinating around small wins. We propose that these three interlocking governance mechanisms allow social enterprises to mitigate the risk of mission drift in a proactive rather than reactive manner. This research received funding from the European Union’s Seventh Framework Programme for research, technological development and demonstration under grant agreement no 613500. European Commission (2017). Social enterprises. Retrieved from: http://ec.europa.eu/growth/sectors/social-economy/enterprises_en. Accessed 6 Apr 2019. Mair, J., Wolf, M., & Ioan, A. (2016). Germany country report: A first analyses and profiling of social enterprises in Germany. SEFORÏS. Available at: http://www.seforis.eu/germany/. Accessed 6 Apr 2019.